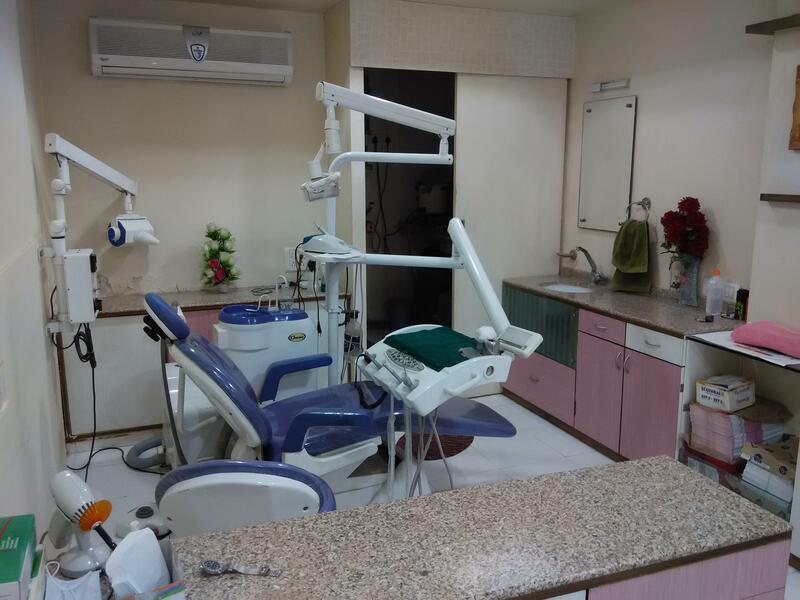 Dr. Kavan Shah is a Dentist and Implantologist practising at Shah's Dental Clinic and Implant Center Gurukul Road, Ahmedabad. He has an experience of 5 years in these fields. He completed BDS from Government Dental College and Hospital (GDCH) Ahmedabad in 2010 and is a Certified Implantologist since 2012. Dr. Kavan Shah is a member of Indian Dental Association. Some of the services provided by the doctor are: Dis impactions, Braces, Aesthetic Crown And Bridges, Dentures and Immediate Dentures etc. Anti-Microbial activity of different mouth washes. Written a book titled "Anti-Microbial activity of different mouth washes" in Lambert Publications, Germany. One of my teeth became very black, so I went to Dr. Kavan Shah and he said let's try to do a filling before trying a root canal. Afterwards I realized and other dentists also confirmed that when a tooth is so obviously decayed, he should have done a root canal immediately. The tooth kept aching, so he said maybe it's a gum issue, let me spray this on your gum and maybe it will become less sensitive. That didn't work, so he suggested let me try to do another filling. All of this delay was not good for my tooth. I was in pain all that time and could not eat from that side. I was fed up, so I said, no, do the root canal. He did it and the tooth kept hurting, so he tried again. Then he said his wife was an expert at root canals, so she too tried to do it. I should have realized that no competent dentist would require another dentist to fix his botched root canal. the tooth kept hurting, so I asked for my money back. His wife shouted at me for half an hour on the phone, saying I was ungrateful. Though she agreed to return the money, she returned only Rs 2000 and not the money for the crown that he had ordered. That crown is now useless to me. I went to Aditya Clinic because I know Dr. Yogesh Trivedi has a good name. He is a renowned endodontist, one of the most famous root canal specialists in Ahmedabad. He took an x-ray and told me they had done too short a filling and the infection was still there. He warned me that he could not guarantee the success of a re-root canal since the tooth had now been so badly botched by Kavan. I didnt do the re-root canal with Dr. Yogesh Trivedi because he is expensive and I had already wasted and lost money with Kavan. I went to another dentist, and he did the re-root canal. But the tooth kept hurting and I have been advised to extract it. Extracting it is no longer a simple process since the tooth is now in a very delicate state. So I will need an expert to extract it and will also need an implant. All this will cost at least sixty thousand rupees, on top of the money I have already wasted so far. I should never have gone to Kavan. Usually when I went to his clinic, there were no other patients. Occasionally there was one other. If he had a good reputation, he would have had many patients waiting, as Dr. Yogesh Trivedi always does. I am very depressed. I am in pain and I also face spending a huge amount of money because Kavan botched what other dentists have told me should have been a simple procedure. I realize now he probably had little experience in doing root canals. How could he have had much experience when he had so few patients? Kavan can't save my tooth, and an implant carries with it risks, which I would not have had to face had he saved my tooth. But at least he should reimburse me since this was all his fault. His wife kept telling me during the phone call when she was abusing me: “We'll return your money; we don't care about money. You care only for money.” Well, when you put me at such a great financial loss, I have to care. I'm the one who will have to spend this huge amount. If they don't care about money, then why don't they pay for their mistakes? She knew that since she and her husband botched the root canal, I would have to go to another dentist and a re-root canal is always more expensive than a simple root canal. She knew this and yet she had the nerve to say the above to me. I thank you for allowing me this platform to state my case. I feel Kavan should make up for the incredible harm he has done me. I feel like crying all the time at the thought of how much pain he made me endure and how much money I'm losing. He should give me at least a lakh to compensate for all the pain and suffering he caused me and so that I can now get the best implant for my tooth. Thank you. Best dental Clinic Award by Gulmohar Greens. Customer Service Award by What Clinic.